How do I use Pogoplug drive function? - Details of an answer | Buffalo Inc.
How do I use Pogoplug drive function? The Pogoplug drive function allows you to access your CloudStation like a drive connected directly to your PC. 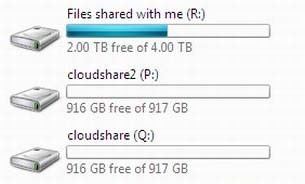 You can access the files stored in the CloudStation as the files stored in local drive. This is an example procedure on Windows OS. You can download the installer at the bottom of the remote access page after loggin in to. Double click the installer file you downloaded, and install the Pogoplug software followed by the screen. Click Pogoplug icon in task tray. Enter your registered e-mail address and password, and then click [Sign in]. Click [Files] and then [Preferences...]. You can open Pogoplug Preferences by the following way. 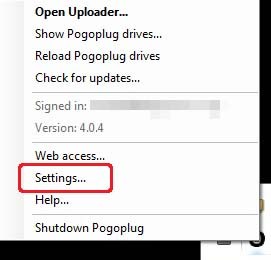 Right-click Pogoplug icon in the task tray, and select [Settings...]. Click [Pogoplug Drive] tab, and check if Pogoplug Drive is set to ON. 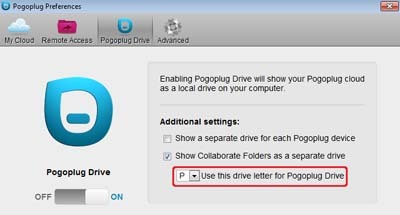 Select an available drive character from drop down menu on "Use this drive letter for Pogoplug Drive". If you check [Show a separate drive for each Pogoplug device], each shared folder will be displayed as a drive icon on My Computer. If you check [Show Collaborate Folders as a separate drive], only one local drive icon will be displayed on My Computer.